From 1945 to 1989, relations between the communist East German state and the Catholic Church were contentious and sometimes turbulent. Drawing on extensive Stasi materials and other government and party archives, this study provides the first systematic overview of this complex relationship and offers many new insights into the continuities, changes, and entanglements of policies and strategies on both sides. Previously undiscovered records in church archives contribute to an analysis of regional and sectoral conflicts within the Church and various shades of cooperation between nominal antagonists. 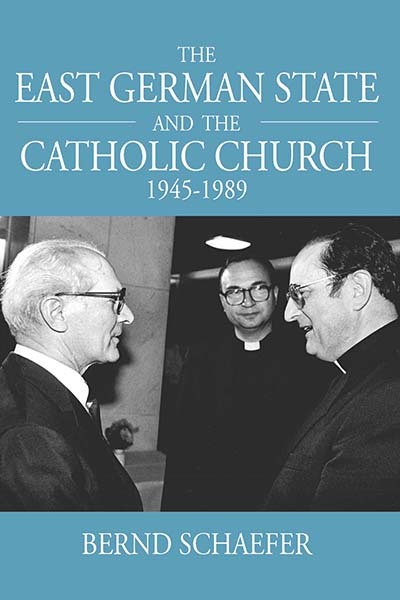 The volume also explores relations between the GDR and the Vatican and addresses the oft-neglected communist “church business” controversially made in exchange for hard Western currency. Bernd Schaefer is a Senior Research Scholar with the Woodrow Wilson International Center’s Cold War International History Project (CWIHP) in Washington, D.C. Previously, he was a Research Fellow at the German Historical Institute in Washington, D.C., as well as a Fellow at the Nobel Institute in Oslo, Norway, and the Hannah Arendt Institute at the Technische Universität in Dresden, Germany. His previous publications (as co-editor) include Ostpolitik, 1969-1974: Global and European Responses (2009); Historical Justice in International Perspective (2009); and American Détente and German Ostpolitik (2004). Between 1993 and 1997, he served as secretary for the East German Catholic Church’s Stasi lustration commission in Berlin. Chapter 3. 1957-1961: "Building Up Socialism"